At McLaren’s Antiques and Interiors, visitors can browse unique home decor and accessories from international destinations like England, Spain, France, and India. Now, during the Round Top Antiques Fair’s Spring Antique Week, visitors can also experience English-inspired dining experiences without leaving Round Top. Guests can partake in our lunch, high tea, and dinner events through April 8. In the early afternoons, we’re hosting the London Bus Cafe, where English fare is served in an authentic double decker bus from London. Thanks to the help of A La Carte Events and Catering, visitors are able to enjoy lunch at the London Bus Cafe from 12 to 3 p.m. Following lunch, guests can partake in a Traditional English High Tea. A High Tea, an English tradition dating back to the 18th Century, is a small, late-afternoon meal that bridges the gap between lunch and dinner. It is named “high tea” because it was generally consumed at a table, as opposed to afternoon tea which was best enjoyed on a sofa or lounge chair. 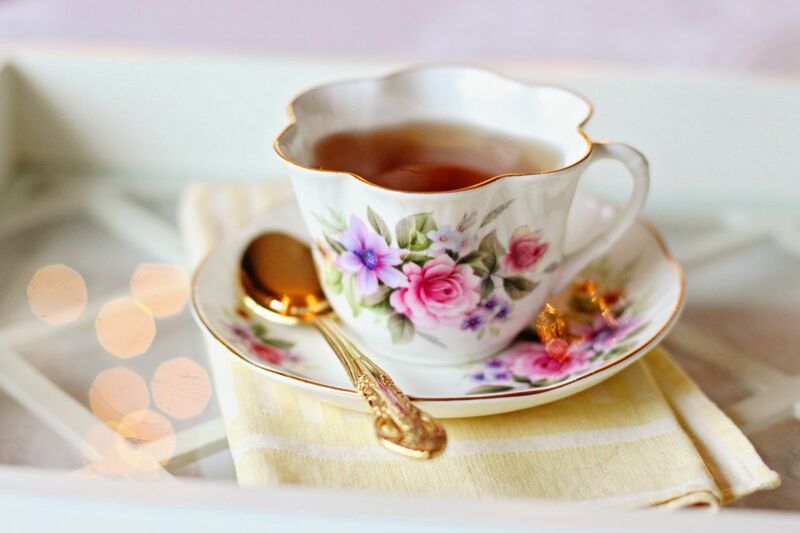 Our High Tea event is serving hot and iced tea along with prosecco, along with other menu items like sandwiches, cakes, pastries, and scones with clotted cream and preserves. On Tuesday, March 29 and Friday, April 6, visitors can experience a pop-up dinner, along with later store hours. In addition to browsing the fine furnishings and decor, guests will be treated to a lavish four-course meal with local wine pairings from local vineyards. The dinners include complimentary drinks, and live entertainment will accompany the event. The dinner event starts with a cocktail hour serving Fish and Chips in cones and Welsh rarebit bites, before a Butter Lettuce Salad with roasted pistachios, local citrus, and Orange Devonshire cream dressing. The main course will be a buffet with choices including Shepherd’s Pie, Grilled Asparagus Spears, Root Vegetable Pastries, Caramelized Leek, and more. Dessert includes English favorites like Bakewell Tartlets, Chocolate Trifle, and Toffee Pudding. In addition to these fine culinary events, McLaren’s is open daily during the Round Top Antiques Week. Explore our vast collection of unique, hand-picked furniture, antiques, and accessories from around the globe.